TOOMBS COUNTY BOARD OF COMMISSIONERS LARGE COURTROOM-AJANUARY 21, 2014 5:30PMREGULAR MEETINGPRESENT: MICHAEL BLAKE TILLERY, JEFF MCCORMICK, WENDELL HUGH DIXON, DENNIS DARRIEL NOBLES, JOHN M. JONES, AND BELINDA WHIRLEYCall to Order: Chairman Tillery called the meeting to order at 5:30PM.Invocation: Reverend Don Moye from the First Baptist Church of Vidalia gave the invocation.Approve Agenda: Commissioner Nobles made a motion seconded by Commissioner Dixon to approve agenda as presented. Motion carried unanimously.Approval of Minutes: December 17, 2013 Regular Board Meeting December 27, 2013 Called Meeting: Vice-Chairman McCormick made a motion seconded by Commissioner Nobles to approve the minutes of the December 17th, 2013 Regular and the December 27th, 2013 called Meeting. Motion carried unanimously.Public Participation: Mr. Steve Miller, Executive Director of the Boys and Girls Club came before the Commission to introduce himself and give a brief update on the mission of the Boys and Girls Club.Recognition of Emma Venable Toombs County Nominee for “The Servant’s Heart Award” Given by Georgia’s Cabinet & Georgia First LadyChildren’s Sandra Deal:Chairman Tillery and the Toombs County Board of Commission recognized and congratulated Ms. Emma Venable as Toombs County’s Nominee for “The Servant’s Heart Award” given by the Georgia Children’s Cabinet and Georgia First Lady, Sandra Deal. The commission honored Ms. Venable with picture and thanked her for all her hard work and leadership in the community.Commissioner Nobles thanked Rustin Howard for all her help in making this happen and making the county look good too.Recognition of Vidalia Heritage Academy Students who will Participate in the Harvard Model Congress in Boston in February:The Commission also recognized a group of young people from the Vidalia Heritage Academy. These students will be representing the community at the Harvard Model Congress in Boston in February. VHA Administrator and Vice-Chairman McCormick introduced the team and said that Vidalia Heritage was the only school in Georgia accepted. 1) Leigha Williams is a sophomore. 2) Brayden Price is a freshman; 3) Kaylee Randolph is a sophomore; 4) Ashley Dawson is a freshman; 5) Ashton Jackson is a freshman; 6) Kayla Martin is a sophomore. Vice-Chairman McCormick reiterated how proud he is of these students.Development Authority Report: Bill Mitchell appeared before the Commission to give a report on the Development Authority. He commented on the good turn out for the legislative breakfast. The Chamber Annual Membership Meeting is February 6th, 2014 at 5:30PM.Mr. Mitchell informed the commission of a couple of ribbon cuttings. One is on Friday, February 14th, 2014 at 11:00AM at Parker’s in Lyons. The other is Wednesday, February 19th, 2014 at 11:00AM State Farm in Vidalia.Leadership Toombs-Montgomery has their next meeting tomorrow morning. It is the education session they will start out at STC and go around to all the local schools. The next meeting for Youth Leadership is Thursday, February 23rd, 2014. It is Toombs County Day. They will be touring the County. The Development Authority is working on a spec building. They are ready for the construction. Pre- bid meeting is February 2ndqualifying contractors and February 20th, 2014 will be the bid opening. The building hopefully will be finished by August, 2014. On a positive note Chicken of the Sea provides the county with scholarship money. They gave $10,000.00 to the Fallen Soldiers Fund. Department Reports: Barry Brown of E-911 appeared before the Commission to give an update on the new 911 System. The project is almost complete. Dispatchers are in training this week and the new phone system should go live next week. Mr. Brown gave a drop dead date of May 1st, 2014 for Montgomery to decide whether or not they want to join Toombs County’s 9-1-1 Program. After that date they will have to pay to come back and be part of the Toombs County 9-1-1 Program. EMS Director, Raymond Carroll appeared before the Board to give a report on EMS. Mr. Carroll thanked the Commission for their support. He informed all that Meadows Regional Medical Center has given EMS 15 new portable medication pumps. Therefore, we are going to be able to have our own pumps. The medication going out of the hospital with critical care patients can be managed by EMS. Request from City of Vidalia on Contribution to Amphitheater Construction: Commissioner Nobles made a motion seconded by Commissioner Williams to table until a later date. Vice-Chairman McCormick and Commissioner Dixon voted no. Chairman Tillery broke the tie by also voting no. Vice-Chairman McCormick commented that he would like to hear from the City of Vidalia before they go any further. Bill Torrance informed the Commission that the project started out at $1,000,000.00 and they cut it down to $750,000.00. He feels this project is going to be an asset for not only the City of Vidalia but the County as well. Also, this Amphitheater will help with the downtown beautification project. It will be used for a lot of different things. It is located behind the city hall and has a parking lot for up to 80 vehicles and it provides green space. The shelter can be used for concerts and other events. We are trying to get it finished in time for the onion festival and the street dance. Therefore, we are asking for the county to help finance this project. Vice-Chairman McCormick asked if the space could be rented. Bill did not know at this time but he does know that it would be there for all municipalities and the county for their use. Next, Commissioner Dixon made a motion seconded by Vice-Chairman McCormick to approve a contribution of $200,000.00, to be funded if appropriate by SPLOST or whatever the appropriate fund should SPLOST not be. Commissioner Nobles opposed the vote. Motion passed 3-1. Request of Vidalia Convention Bureau: Richard Williams of the Vidalia Convention Bureau appeared before the Commission to ask for some support for the film industry to locate here. Williams requested $50,000.00 over the next 2 years. This is a huge industry and I believe it will be good move for the community. In other locations these movies have caused a tourist attraction. Vice-Chairman made a motion seconded by Commissioner Dixon to table until more information has been received. Motion carried unanimously. Authority for Tax Commissioner for fine and penalty waivers: Vice-Chairman McCormick made a motion seconded by Commissioner Nobles to grant the Tax Commissioner the authority for fine and penalty waivers up to $2,500.00. Motion carried unanimously. Request for Closure of Grandma Collins Road: All impact statements have been received. The Commission will make a decision at the next regular meeting on Tuesday, February 18th, 2014. Approval of Resolution Commending Association of County Commissioners of GA on their Centennial: Commissioner Nobles made a motion seconded by Commissioner Dixon to approve the Resolution Commending the Association County Commissioners of GA on their Centennial. Motion carried unanimously. Approval of Resolution for Call for a Special Purpose Local Option Sales Tax Vote and Inter-Governmental Agreement on the SPLOST: Commissioner Dixon made a motion seconded by Commissioner Nobles to approve the Inter– Governmental Agreement on the Special Purpose Local Option Sales Tax. Motion carried unanimously. The current Special Option Sales Tax will cease on December 31st, 2014. It needs to be put on the ballot to be voted on if it is to continue. Chairman Tillery asked for management to find out the total amount raised by SPLOST and how that corresponds to the milleage rate. Also, he would like to have a list of everything that has been purchased with this SPLOST. Commissioner Nobles suggested that this information be run in the paper before the election. Appointment of Zoning and Sign Ordinance Committee: Commissioner Nobles made a motion seconded by Vice-Chairman McCormick to table until there is a revision on the Planning Committee and then bring it back before the Commission. Motion carried unanimously. Chairman McCormick to re-appoint Dr. Barry Dotson to the Workforce Investment Act Board. Motion carried unanimously. Re-Appointment of John M. Jones to Heart of Georgia Altamaha Regional Commission Board: Commissioner Nobles made a motion seconded by Commissioner Dixon to re-appoint Mr. John M. Jones to the Heart of Georgia Altamaha Regional Commission Board. County Manager Report Financial Report: County Manager Jones gave a financial report for the month ending December 31, 2013. EMS Report: Manager Jones gave a financial report on EMS for the month ending December 31st, 2013. The revenues were $111,323.20 with expenditures of $179,937.00. TIA Up-Date: Mr. Jones informed the Commission that the Ezra Taylor Road Project is moving forward and a meeting with property owners is tonight’s work session. Toombs County Recreation Department request for Building Improvements: The Toombs County Recreation Department has asked for some SPLOST money for building improvements. Vice-Chairman McCormick made a motion seconded by Commissioner Nobles to approve the request up to $6,200.00 provided the Recreation Board obtains 2 more bids. Motion carried unanimously. Bids for Pick-Up Truck at Landfill: The commission’s consensus was to table this until the next regular meeting. Workshop: Manager Jones discussed a possible workshop to be set on a Saturday. He asked that everyone check their calendars and see when it will be convenient for everyone. Commissioner Dixon made a motion seconded by Commissioner Nobles to approve the six applications for Beer & Wine License. Commissioner Williams abstained from the vote. Motion passed by a 3-0 vote. Commissioner Nobles informed the Commission that the landfill road is coming along good. The land has been purchased and the county can now move forward with plans for its use. Commissioner Dixon asked Mr. Raymond Carroll about the ambulance and Mr. Carroll informed the Commission that it should be delivered sometime in February. Vice-Chairman McCormick informed the Commission that LMIG Money has been applied for and the county should receive right at a half a million for road paving projects. The 2014 LMIG Project is the paving of Glenn James Road. Chairman Tillery thanked the departments present at the meeting for the jobs that they do. We really appreciate all you do. Also, we have purchased land to expand the landfill for the next 15 years. Adjournment: Vice-Chairman McCormick made a motion seconded by Commissioner Dixon to adjourn at 7:35 PM. Motion carried unanimously. Carl Hofstadter of Hofstadter & Associates appeared before the Commission and the Public to answer any questions or concerns anyone had on right of way easements needed in order to pave Ezra Taylor Road. Carl gave an overview of the project and why the easements were needed and citizens were given a chance to ask questions and Carl answered questions and discussed in length any issues that were brought up. Mr. Hofstadter announced that he would be available following the meeting to meet with anyone facing major concerns with giving the easements. There being no further business the meeting adjourned at 8:40PM. TOOMBS COUNTY BOARD OF COMMISSIONERS LARGE COURTROOMMARCH 18th, 2014 5:00PMPUBLIC HEARINGROAD CLOSINGPRESENT: MICHAEL BLAKE TILLERY, JEFF MCCORMICK, WENDELL HUGH DIXON, DENNIS DARRIEL NOBLES, AND JOHN M. JONESRegarding request to close Grandma Collins Road (CR 172)Call to Order: Chairman Tillery called the meeting to order at 5:00PM.Action: The floor was open for any public comments. There was no public participation.Adjourn: Commissioner Dixon made a motion seconded by Vice-Chairman McCormick to adjourn at 5:15pm. Motion carried unanimously. Approval of Toombs County Revolving Loan Funds – Advanced Veneer Technologies, Inc.
East Egg Hunt – E.E. Foundation – Lenton Brown, Jr.
TOOMBS COUNTY BOARD OF COMMISSIONERS LARGE COURTROOM-AMARCH 18TH , 2014 5:30PMREGULAR MEETINGPRESENT: MICHAEL BLAKE TILLERY, JEFF MCCORMICK, WENDELL HUGH DIXON, DENNIS DARRIEL NOBLES, JOHN M. JONES, AND BELINDA WHIRLEYCall to Order: Chairman Tillery called the meeting to order.Invocation: Commissioner Williams gave the invocation.Approve Agenda: Vice Chairman McCormick made a motion seconded by Commissioner Dixon to approve the minutes as printed. Motion carried unanimously.Approval of Minutes: February 18th, 2014 Regular Board Meeting Commissioner Nobles made a motion seconded by Commissioner Dixon to approve the February 18th, 2014, Regular Board Meeting. Motion carried unanimously.February 18, 2014 Workshop: Commissioner Nobles made a motion seconded by Commissioner Dixon to approve the February 18th, 2014 Workshop minutes. Motion carried unanimously.March 3rd, 2014 Called Board Meeting: Commissioner Dixon made a motion seconded by Commissioner Nobles to approve the minutes of the March 3rd, 2014, Called Board Meeting. Motion carried unanimously. Employee of the Month: Charles Tad Bryant was introduced as employee of the Month for March, 2014. Mr. Bryant was awarded a $50.00 Gift Certificate to J & B’s Steak House in Vidalia, Georgia. Public Participation: Mrs. Vicky Tillery came before the Commission representing the Toombs County Area Ministerial Association. Mrs. Tillery requested that the Commission and everyone present participate in the “Day of Prayer”, Thursday, May 1st, 2014 at 6:30PM here on the Courthouse Grounds. There was a general consensus from the Commission to honor her request. Steve Bryant from the Normantown area came before the Commission to inform the Commission that their Noise Ordinance is being violated. He explained that there have been loud explosive sounds that are so loud it is shaking the neighborhood. Mr. Bryant went on to say that the sound goes off like a bomb or a sonic boom. It is a very alarming type explosive causing the windows in our homes to rattle. We as a community would like to ask if you could amend your Noise Ordinance to address this problem. Mr. Skeeter Toole also spoke on the problem out in the Normantown area. He believes someone needs to investigate and see if it is all legal because it is very loud and sounds potentially dangerous. In addition, Karen Brumelows an NRA Training Instructor who lives in Normantown made the comment that the sounds were frightening to her. Her entire home would shake and items would actually fall off the walls. Also, she has an unexplained broken window in the front of her house that she believes came from the blast. “Sometimes you’d think you’re in a war zone with bombs going off,” she said. She has called the Sheriff’s Department on several different occasions. She is worried about the children. Michelle Cox, of the Mel Blount Youth area has had similar problems in the past. Chairman Tillery said that several of the county’s ordinances and policies are under review, and promised that the Sound Ordinance could possibly be moved to the top of the list. Michelle Cox addressed the Commission to find out what kind of system was being used in regards to choosing which roads are paved first. Vice-Chairman McCormick said that contrary to belief that there was a list from previous administrations; no list has been found by the current Commission. He went on to say that there are only two roads in the county slated for paving at this point. They are Glenn James Road and Ezra Taylor Road, because they were East -West connector roads that provide direct passage for emergency and responding vehicles. We will be looking for connector roads and going forward from there. We gather information from the Road Department, Sheriff’s Department, and EMS to make these decisions. Development Authority Report: Michelle Johnson appeared before the Commission to give a report on the Development Authority as well as the Chamber of Commerce. She informed everyone that the next Development Authority meeting is Thursday at Noon and directly following the meeting they will have a pre-construction meeting for the new spec building. The Development Authority is still working on a new web-site project. Therefore, we hope to be featuring a new web-site and a new building by September. Also, the Authority is working with two local businesses; they are Truax Veneer Company, Inc. and US New Energy Sciences, Inc. and the Commissioners will be reviewing some revolving loan application for us tonight. Michelle went on to inform the Commission that Bill would not be at next month’s meeting either because he will be at consultants meeting in Dallas Texas. The Chamber we will have a ribbon-cutting on Thursday at 11:00 AM for the Jody Hill Agency. Also, the Chamber is hosting the Leadership Toombs –Montgomery 20th Anniversary Celebration on Friday at 6:00PM. The Chamber will be accepting nominations for the new Leadership-Toombs Class through May 15th, 2014. Therefore, if there is anyone that you would like to nominate call and ask for Michelle and she will take care of it. Approval of Toombs County Revolving Loan Fund: Advanced Veneer Technologies, Inc. Commissioner Dixon announced the applications for Truax Veneer Company, Inc. and US New Energy Sciences, Inc. Vice-Chairman McCormick made a motion seconded by Commissioner Nobles to approve the loan for Truax Veneer Company, Inc. Commissioner Dixon abstained from voting. Motion passed 3-0. Approval of Toombs County Revolving Loan Funds – US Energy Sciences/CHAL Holdings:Commissioner Nobles made a motion seconded by Vice-Chairman McCormick to approve the loan for US New Energy Sciences/CHAL Holdings. Commissioner Dixon abstained from voting. Motion passed 3-0. Easter Egg Hunt E.E. Foundation Lenton Brown, Jr.: Lenton Brown appeared before the Commission to request that the County participate in the Annual Easter Egg Hunt. It is a Community Easter Egg Hunt and it is free to the children. It has been going on for 35 years. 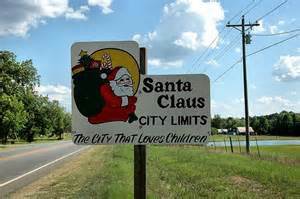 Approval of closing of Grandma Collins Road: Commissioner Nobles made a motion seconded by Commissioner Dixon to close Grandma Collins Road. Motion carried unanimously. Brandi Payne-Public Defender Middle Judicial Circuit FY 2015 Budget: Brandi Payne came before the Commission to present their part of the budget for Public Defender Middle Judicial Circuit for FY 2015 Budget. This budget is based on population and is due to an increase in retirement cost. 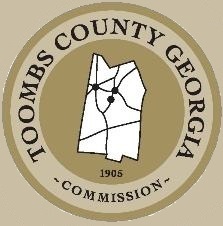 Adoption of Toombs County Workplace Wellness Policy: Commissioner Dixon made a motion seconded by Vice-Chairman to adopt the Toombs County Workplace Wellness Policy. Motion carried unanimously. Approval of Mutual Aid Agreement between Fire Department of Toombs County and City of Swainsboro: Vice-Chairman McCormick made a motion seconded by Commissioner Nobles to approve the Mutual Aid Agreement between the Fire Departments of Toombs County and the City of Swainsboro. Motion carried unanimously. Request for approval of Agreement with Cell Tower Solutions, LLC Assessor’s Office: Vice-Chairman McCormick said he still has some concerns with the wording in this contract. Attorney Kaufold also had concerns with – the contract after reading. Commissioner Nobles made a motion seconded by Commissioner Dixon to table this request. Motion carried unanimously. Approval of Striping Contract: Commissioner Nobles made a motion seconded by Commissioner Dixon to approve the low bid for striping of Southeast Center Line Inc. at a cost of $132,051.88 to be spent on the striping of 35 miles of county roads and to give the Chairman the authority to sign the contract. Motion carried unanimously. Approval of Qualifying Fee Policy: Vice-Chairman McCormick made a motion seconded by Commissioner Nobles to approve the Qualifying Fee Policy as presented. Motion carried unanimously. Vice-Chairman McCormick made a motion seconded by Commissioner Dixon to approve the low bid of Vidalia Ford for the purchase of 4-trucks in the amount of $109,767.64. Motion carried unanimously. Financial Report Manager Jones gave a Financial Report for the month ending February 28th, 2014. Also, he informed the Commission that the Audit for 2013 has begun and that sales tax is up. EMS Report There were 278 calls for the month of February. Revenues were $143,931.87 and expenditures were at $117,213.55. TIA Up-Date Deeds are prepared for easements and we are waiting on the plats from the engineer which has to be put on CDs. Once we get this done we will be ready for the engineers to begin finalizing permits for the paving of Ezra Taylor Road. 2014 LMIG Up-Date The engineer is working on permits for the Glynn James Road. We expect this project to be finalized sometime this year. Convenience Center Up-Dates Resmondo Road is waiting on the deed to that property for that center to begin construction. We already have bids on the fencing and also on an electronic compactor. We need to vote on the bids for fencing and compactor. Commissioner Dixon made a motion seconded by Vice-Chairman McCormick to approve the low bid of Garrett Industries Fence Company, Inc. at a cost of $9,495.00. Commissioner Nobles made a motion seconded by Vice-Chairman McCormick to approve the low bid of Nu-Life for the electronic compactor at a cost of $21,723.oo. Motion carried unanimously. County Manager Jones asked that the Commission reconsider the striping motion and include where those funds will come from to pay for that project which will be the T-SPLOST (Discretionary) Funds. Commissioner Dixon made a motion seconded by Vice- Chairman McCormick to reconsider the previous motion for restriping and amend that motion to include where it will be paid from. Motion carried unanimously. Vice-Chairman McCormick made a motion seconded by Commissioner Nobles to approve the low bid for striping of Southeast Center Line Inc. at a cost of $132,051.88 to be spent on the striping of 35 miles of county roads and to give the Chairman the authority to sign the contract. This project will be paid from the T-SPLOST (Discretionary) Fund. Motion carried unanimously. Manager Jones informed the Commission that upgrades of security cameras on the inside of the courthouse has been done but feels we need them on the outside because of some things that have happened with a court case that spilled over to the outside. Jones informed the Commission that the Financial Administration Office will be changing their software support but not the software itself. In the future, they will need to update their equipment to have a true file server system. This will be more secure and the cost will be in next year’s budget. Commissioners Comments: Nobles commented that he prayed for sunshine. Dixon reminded everyone that there is a Development Authority Meeting on this Thursday at Noon. McCormick reiterated his prior comment that there is not a list of roads that we plan to pave. Chairman Tillery brought up the ACCG Conference coming up and we need one commissioner to do the roll call. We are trying to update our ordinances and policies. We will be looking at our current Beer & Wine License Ordinance. In the future we will be looking at our Mobile Home Ordinance and also our Animal Control Ordinance. by Vice-Chairman McCormick. Motion carried unanimously. TOOMBS COUNTY BOARD OF COMMISSIONERS LARGE COURTROOMAPRIL 15TH, 2014 5:30 PMREGULAR MEETINGPRESENT: MICHAEL BLAKE TILLERY, ROY LEE WILLIAMS, WENDELL HUGH DIXON, DENNIS DARRIEL NOBLES, HOWARD KAUFOLD, JOHN M. JONES, AND BELINDA WHIRLEYCall to Order: Chairman Tillery called the meeting to order at 5:30PM.Invocation: Vice-Chairman McCormick gave the invocation.Approve Agenda: Commissioner Dixon made a motion seconded by Vice-Chairman McCormick to approve the agenda as presented. Motion carried unanimously.Approval of Minutes: Regular Board Meeting March 18, 2014 Vice-Chairman McCormick made a motion seconded by CommissionerDixon to approve the minutes of the March 18th, 2014 meeting as presented. Motion carried unanimously.Employee of the Month: Special Presentation Chairman Tillery introduced Crystal Wardlaw of the Tax Assessor’s office as employee of the month for April, 2014. He awarded her with a $50.00 Gift Certificate to Ruby Tuesday’s of Vidalia.Sheriff Kight: Sheriff Kight presented two Law Enforcement Officers; Deputy Robert Wiggs and Georgia State Patrol Trooper Jeffery Taylor with commendations for saving the life of Mr. Jimmy Ramsey.On January 25th, 2014, these two officers went above and beyond the call of duty to save a life from a burning home. After being warned not to return to burning house both gentlemen went in a life threatening situation to pull Mr. Ramsey to safety.Following the presentation Chairman Tillery ask for another round of applause and he thanked both of them again. Public Participation: Chris Zorn of Zorn Land, Inc. appeared before the Commission to ask that they reconsider taking on a new dirt road that he would like to deed to the county. He comes before the board as an investor who pays taxes and as a representative for the 20 or so people who live on that road and the 50 church members who attend the church on this road. The prior Commission sent Mr. Zorn a letter in December of 2012 which listed items that needed to be completed in order to meet the current road ordinance criteria at that time. Mr. Zorn wanted to know if he completed the list would the county accept the roads. Mr. Zorn implied that he doesn’t mind getting the road up to the specs outlined in the letter but if he is going to put $25,000.00 more into the investment then he wants a promise that after he has maintained them for a year that the county will then take the road. If the commission willagree to this then we have no problem investing another $25,000.00 but without that promise we are not willing to invest that money. Tillery went on to thank Mr. Zorn for bringing this to the attention of the Commission because it is a little different situation. He went on to say that Mr. Zorn is right the county is rapidly moving toward not accepting anymore dirt roads because it is not cost effective for us since maintaining those roads are too costly. The second thing is that this is different because this road was done prior to the new ordinance and you have dealt with the prior commission on this. I don’t know what all needs to be done and if everything was done according to the current specs it would be hard for me to vote no but I only vote when there is a tie. Mr. Zorn said that this is the problem because no one will give an answer whenever they bring it before the Commission. He implied that the rules keep changing and he needs something concrete. Zorn went on to say that any developer who comes to Toombs County needs some kind of consistency. Commissioner Nobles commented that if everything was done according to what the current ordinance specs are whether it is 8 or 12 then he would have a hard time being against accepting the road due to the situation. Commissioner Nobles asked Mr. Zorn if he is willing to set down with County Manger Jones, Chairman Tillery and himself and discuss this that it can be worked out. If we all agree and sign off on it then it is not going to change. Nobles asked Mr. Zorn to call the county manager to set up a time for them to set down and talk. Commissioner Dixon commented that he feels like Commissioner Nobles and Vice-Chairman McCormick, that if Zorn Investments complies then he is for bringing the road in. Next, the reverend of the church on this road came before the Commission as the Pastor of Solid Rock Church of The Living God Church at 173 Annie Mae Road and as a citizen. She also pleaded with the Commission to do something. Moore went on to say that he and two meteorologists from the National Weather Service had traveled the county, and the official result was that there were no tornadoes that touched down. However, they did say that winds were high with tornado like conditions that if any did actually touch down may have caused the damage. Next, Mr. Larry Stevens of Lyons appeared before the Commission to bring a petition with 175 names of citizens who are against the closing of Highway from 147 to the DC Clark Road. This would cause a negative impact on ISO Rating at The Marvin Yancey Fire Department as well as to the people in this area and would cause their fire ratings to rise which in turn would make their property fire insurance increase. Submission of ImpactStatements on Closing Providence Church Road: County Manager John Jones informed the Commission that he has received the impact statements for Providence Church Road. The ordinance requires that the Commission have them for 30 days. Approval of Toombs County Policy on Re-Naming a Road: Following a brief discussion of the Policy on Re-Naming a Road Vice-Chairman McCormick made a motion seconded by Commissioner Dixon to table until the next regular meeting. Motion carried unanimously. Approval of Scope & Objectives of Animal Control Advisory Committee and Approval of Members to the Committee: Manager Jones presented the draft of the scope & objectives of that committee and the recommendations of names for that committee. Vice-Chairman McCormick made a motion seconded by Commissioner Dixon to approve the Statements on Scope & Objectives of the Animal Control Advisory Committee. Motion carried unanimously. It was the recommendation of Manager Jones to appoint Kenny Clark, Theresa Ingley, and Leesa Hagen to the Animal Advisory Committee. Commissioner Nobles made the motion to approve the recommendation of Manager Jones seconded by Commissioner Dixon. Motion carried unanimously. Approval of mapping services for E911 – Zuercher Technologies: Commissioner Dixon made a motion seconded by Vice-Chairman McCormick to approve the mapping services for E-911 with Zuercher Technologies at a cost of $4,500.00 for one year. Motion carried unanimously. Review of Draft on Planning Commission Ordinance: Manager Jones presented a draft on the Planning Commission Ordinance. With the adoption of the Planning Commission Ordinance the County would become eligible for CDBG Grants twice a year instead of once. Review of Draft on Noise Ordinance: Manager Jones informed the Commission that they are studying the issue. The Sheriff has gotten involved and has found that other counties are having the same problems with it. The County Attorney, Howard Kaufold is also involved with finding a solution to the problem. County Manager Report Financial Report: County Manager, John Jones gave the March Financial Statement. Sales Tax is down again. No questions followed. EMS Report: There were 336 calls for the month of March. Expenditures were at $182,313.93 with revenues at $102,312.64. A new ambulance is scheduled to be picked up Thursday. TIA Up-Date: We have been out getting right-of-way deeds signed for the Ezra Taylor project. 2014 LMIG Up-Date: We are planning on using the 2014 LMIG Money to pave Glynn James Road from US 1 all the way to Tomlin Road. Engineer is getting the permits and will use the original design. Convenience Center Up-Dates: Everything has been signed by the state and the county should have thedeed in July. Manager Jones is trying to get permission to go ahead and proceed with construction. Accounting Software Support Contract: Our current support vendor is no longer a licensed provider to provide support to the county. We are looking at going directly to the Caselle Software Company. It is a $2400.00 increase from what we were paying. This is just for software and doesn’t bind us to buy anything. Commissioner Dixon made a motion seconded by Commissioner Nobles to approve the contract for Caselle Software Support at a cost of $725.00 per month. Motion carried unanimously. Other Items: Next, there are 3 bids for air conditioning at one of the training fire station on Highway 15. They are not consistent with each other. Mr. Robert Kimball who works for the county on our air conditioners is going to get the specs right and let a rebid take place. Chairman Tillery mentioned that Alvin who is over the maintenance of the buildings brought him a picture of the air conditioner at the courthouse and it is dated 1964. Next we have two bids for a fingerprinting machine. Vice-Chairman McCormick made a motion seconded by Commissioner Nobles to approve the purchase of the finger printing machine from Eagle Advantage in the amount of $9,650.00 to be paid from the Jail Fund. Motion carried unanimously. Manager Jones mentioned that the County is part of the ACCG Pool for Worker’s Compensation and we are going to receive a $32,000.00 refund. We have received a grant from ACCG for an intern this summer. We are going to have the student scan all of our minutes so that we will be able to digitize them and become more paperless. Also, they will be looking at the Accounts Payable process and streamlining that more. The County has also applied for a Fall Grant as well. Commissioners Comments: Commissioner Nobles apologized for being late due to a wreck on the highway on his way back from the ACCG Conference held in Savannah. Nobles went on to thank the Road Department for the fine job that they are doing. Commissioner Nobles also informed the Commission that he and the county attorney is working on a new beer & wine ordinance. We should have something by the next regular meeting. Commissioner Dixon thanked Manager Jones and EMS Director Carroll for speaking last week at the Kiwanis’s Meeting. Vice-Chairman McCormick thanked the other Board members for taking up his slack since he has been so involved with the school accreditation. Also, he thanked the Road Department for all they do and the speed at which they respond. Chairman Tillery mentioned that Montgomery County had started their own E-911. They went live on April 1st, 2014. Tillery went on to thank Barry Brown from Toombs County E-911 for helping with this transition. Tillery informed all that the county now has only 5 voting precincts and the maps are on the Toombs County Website and the public can go there to see where they vote. You can also go to the Secretary of State Website and find out where you vote. Adjournment: There being no further business the meeting adjourned on a motion made by Vice-Chairman McCormick seconded by Commissioner Dixon at 7:00PM. Motion carried unanimously. Copyright © 2014 Toombs County Board of Commissioners. All Rights Reserved. TOOMBS COUNTY BOARD OF COMMISSIONERS LARGE COURTROOMJune 17, 2014 5:30 PMREGULAR MEETINGPRESENT: MICHAEL BLAKE TILLERY, JEFF MCCORMICK, DENNIS DARRIEL NOBLES, WENDELL DIXON, ROY LEE WILLIAMS, HOWARD KAUFOLD, JOHN M. JONES, AND BELINDA WHIRLEYCall to Order: The meeting was called to order by Chairman Tillery.Invocation: Chairman Tillery gave the invocation.Approve Agenda: Commissioner Dixon made a motion seconded by Commissioner Nobles to amend the agenda to add an Executive Session at the end and add Consideration of Liability Insurance Renewal following Manager Reports but before Commissioner Comments. Motion carried unanimously.Approval of Minutes: Commissioner McCormick made a motion seconded by Commissioner Dixon toMay 20, 2014 Regular approve the minutes of the May 20th, 2014 Regular Board Meeting. MotionBoard Meeting carried unanimously.Employee of the Chairman Tillery announced that Dusty Findley of EMS was voted by his peers asMonth: Employee for the Month of May. He was awarded a $50.00 gift certificate to J&B’s Steakhouse in Vidalia.Public Participation: NONEDevelopment Authority Report: Bill Mitchell of the Development Authority gave a report that the Final One Georgia Progress Report for Chicken of the Sea was completed. They had 229 employees and $20,000,000.00 investment as part of their incentive package to be here. Chicken of the Sea has 398 employees with a $31,000,000.00 investment here in Toombs County. He feels that they have done really well with this company and he thanked the Commission for what they have done to make this come to reality.Mr. Mitchell spoke about Project Green and in Agri-business in canning. This is a prospect that would employ approximately 100 people and a $4,000,000.00 investment.In other business, he spoke of the progress of the Spec Building that is due to be completed in September of 2014. Also, the Development Authority is working on an area at the Regional Airport.Department Reports Willie Haynes, Tax Assessor: Tax Assessor, Willie Haynes informed the Commission that they are expecting the 2014 Digest to be flat. We have a slight situation because of HB 954 which changes the value of low income housing. It will cause a decrease in the Digest of approximately $12,000,000.00. Mr. Fountain suggested several options that the county can look at but something needs to be done. We can add some storage facilities here at the courthouse or we can find storage offsite but in the end something has to be done. Presentation of 2013 Audit-Mauldin & Jenkins: David Irwin of Mauldin & Jenkins appeared before the Commission to report on the 2013 Audit. He stated their firm has issued an unmodified audit report (i.e. “clean opinion”) of the county books and complimented management and staff on their handling. He also stated there were a few recommendations that have been made to management to improve operations but those recommendations are made every year and not generally cost effective for a county the size of Toombs as it would require the hiring of several additional employees just to meet the recommendation. Approval of Office of District Attorney – Middle Georgia Judicial Circuit Budget: Commissioner Dixon made a motion seconded by Vice-Chairman McCormick to approve the Office of District Attorney- Middle Georgia Judicial Circuit Budget. Motion carried unanimously. Approval of Technical Service Support Agreement – Physio Control – Annual Maintenance on (4) Lifepak® 15Monitor/Defibrillator for EMS: Commissioner Nobles made a motion seconded by Vice-Chairman McCormick to approve Technical Support Service Agreement-Physio Control-Annual Maintenance on (4) Lifpak 15’ Monitor/Defibrillator for EMS. Motion carried unanimously. Approval of Contractor for Expansion of MSWL Cells 13-19 Commissioner Dixon made a motion seconded by Commissioner Nobles to approve McLendon Enterprises, Inc. as contractor of MSWL Cells 13-19 at a cost of $2,925,236.98. Motion carried unanimously. Approval of Contractor for CDBG Project–Mercy Clinic: The bid opening on the CDBG Project – Mercy Clinic-was conducted May 27, 2014 by Richard Hill. There was only one (1) bid received from Harry Moses Construction was in the amount of $473,619.00. The bid was higher than funds available. With assistance of Dr. Nancy Stanley, the Architect prepared an addendum in the amount of $33,596.00 that reduced the cost to $440,023.00. A motion was made by Commissioner Dixon to award bid to Harry Moses Construction as recommended by Richard Hill & Associates, seconded by Vice-Chairman McCormick, and all were in favor. This award is contingent upon approval of “Sole Source” and contractor clearance by the Georgia Department of Community Affairs. Approval of McLendon Enterprises, Inc. for Emergency repair– Cedar Crossing-Vidalia Road: Commissioner Nobles made a motion seconded by Vice-Chairman McCormick to approve McLendon Enterprises, Inc. for repairs on the Cedar-Crossing-Vidalia Road in the amount of $12,000.00 to be paid from SPLOST Funds. Motion carried unanimously. Approval of Beer & Wine License Ordinance: Following a brief discussion of the changes to the Beer & Wine License Ordinance,Commissioner Nobles made a motion seconded by Commissioner Dixon to approve the Beer & Wine License Ordinance as read. Motion carried unanimously. 4. Trucks – Dump Truck-International @ a cost of $119,079.00 & Passenger Ford Truck-Threlkeld Motor Co.@ a cost of $29,651.00. Commissioner Dixon made a motion seconded by Vice-Chairman McCormick to go with the lowest bidder for each item on the list for a total of $629,863.00 to be paid from SPLOST Funds. Motion carried unanimously. Review and Consideration of Bond Resolution for funding of Solid Waste Expansion: Commissioner Nobles made a motion seconded by Vice-Chairman McCormick to approve the Bond Resolution for funding of the Solid Waste Expansion with 3 local banks. Commissioner Dixon abstained from the vote. Motion carried 3-0. County Manager Report Financial Report: Manager Jones gave the Financial Report for the Month of May. EMS Report: There were 388 calls for May with 43 of those being for Montgomery County. Approval of Assistant Director Position: Commissioner Dixon made a motion seconded by Vice- Chairman McCormick to approve the new position of EMS Assistant Director. Motion carried unanimously. Comprehensive Plan Update: The Comprehensive Plan Update is due no later than October 31st, 2014. A Public Hearing has been set for June 23rd, 2014 at The Vidalia City Council Chambers, Vidalia Municipal Annex Building at 5:30PM. Update Regional Commission Digital/Broadband Community Presentation: County Manager Jones informed the Commission that the Regional Commission had got a meeting together to discuss the area’s digital/broadband access. Jones said it is left up to the county to keep this organized and moving forward. To be competitive in the future this is going to be very important to our businesses. Re-Striping Update: The Re-striping Project began on Monday, June 16th, 2014 and is expected to be completed by Friday of this week. Health Insurance Up-Date: Health Insurance sign up has been completed. We expanded the offering to include dental and vision. Courthouse Repair Update: The repairs to the courthouse to keep unwanted animals out of the attic has been completed. Everything seems to be working well. TIA Update: Manager Jones informed the Commission that everything is going well. The county is still working on right-of-ways for Ezra Taylor Road. Within the next few weeks the engineers will be going back out there to survey the road and right-of-ways because some people wanted to be sure of this before they sign the right- of- way deed. 2014 LMIG Update: Jones informed everyone that this will be the paving of Glynn James Road and the engineers will be surveying the road and right-of-ways so that people can be assured of what they are deeding to the county. Contract on Cell Towers No action taken. Disposal of Closed Voting Precincts: Vice-Chairman McCormick made a motion seconded by Commissioner Nobles to declare all closed voting precincts as surplus property. Motion carried unanimously. Renewal of Liability Insurance: With Bishop & Durden: Commissioner Dixon made a motion seconded by Vice-Chairman McCormick to approve the renewal on liability insurance with Bishop & Durden Insurance at a cost of $163,950.00. Commissioners Comments: Commissioner Nobles thanked all county employees for what they do. He commented on the Weight Management Lunch & Learn to be held on Wednesday June 18th, 2014 in the Durden Cabin at Partin Park at 11:00am and 12:15. Commissioner Dixon thanked Fuzzy and the Road Department for the good job that they continue to do. He informed everyone that he was sorry he missed the last meeting because he heard that Road Superintendent, Fuzzy Swain had a lot of kind words to say about the Commission. Vice-Chairman McCormick thanked all County employees because they make the County what it is. He appreciated every department for the work that they do for the County. Chairman Tillery thanked everyone for what they do for the County and he went on to encourage all employees to attend the Wellness Luncheon that will be held tomorrow at Partin Park in the Durden Cabin. Tillery reiterated the importance of employee participation in the Wellness Program because it will help keep our insurance rates lower which saves tax payer dollars. Also, he reminded everyone about the Area 8 EMAG Meeting being held at Plant Hatch tomorrow. In addition, Tillery informed everyone that the County has received a small grant to begin digitizing some of our records. Also, he will appoint a committee to formalize the criteria for paving dirt roads. He appointed Vice-Chairman McCormick and Commissioner Nobles to formalize the criteria for paving dirt roads. Executive Session: Commissioner Nobles made the motion seconded by Vice-Chairman McCormick to go into executive session. Motion carried unanimously. Commissioner Nobles made a motion seconded by Commissioner Williams to end the executive session. Motion carried unanimously. As a result of executive session Commission Nobles made a motion seconded by Commissioner Dixon to amend the County Manager’s Contract to include a 5% increase in salary to begin the next pay periodand to direct the county attorney to redraft the county manager’s contract to reflect same. Motion carried unanimously. McCormick to adjourn at 7:35PM. Motion carried unanimously.